Digital marketing consultant Whitney Ng could happily live on coffee, pasta and Muji stationary. She loves meeting creatives from all around the world and finding a home in obscure cities. Currently based in Jing An, Shanghai, Whitney started out as a freelance writer and photographer in Perth during the rise of blogging and social media. For Whitney, Shanghai is unlike anywhere else in the world—she saw the potential, decided not to look back and has made this corner of the world her new home. Where can you find legit street food in your city? One of the best things about living in Shanghai is that each street corner is literally lined with great eats. When I first arrived, I wondered how so many stalls can afford to operate in such close proximity to each other, all whilst offering roughly the same thing ... but over here, it just works. There’s enough foot traffic and the locals all have that ONE vendor that they swear by. I’m a sucker for sweet soybean milk and savoury millet flour pancakes in the mornings. 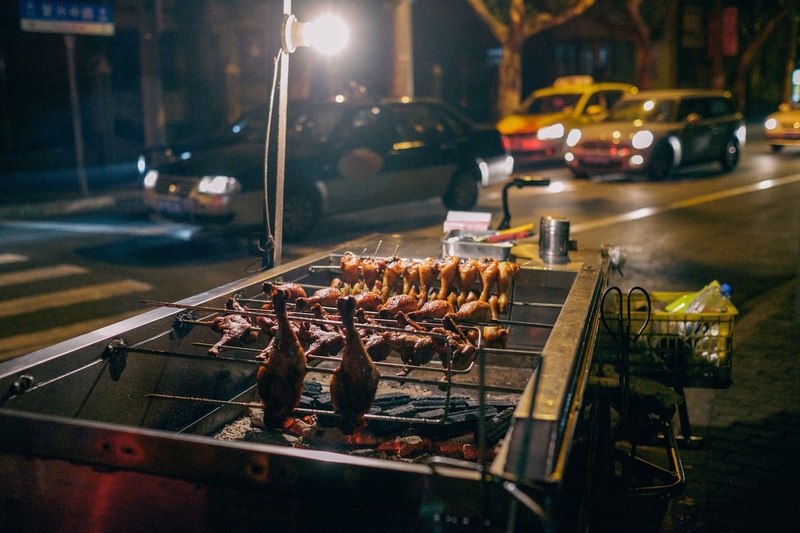 Streetside barbecue in the small hours is a must­-try in Shanghai—you can get almost any kind of meat, vegetable, steamed bread or seafood on skewers. They charcoal grill it right in front of you and season it with a blend of spices (each cart has it’s own unique spice mix). You can get a decent feed on the street for 9 Chinese yuan [about $1.50] or less. Shanghai is one of the world's most vertical cities. Shanghai locals take their street eats and meats seriously by staying loyal to specific vendors. What’s the one thing that you can find in Shanghai that you can’t find anywhere else? I think that this a really tough question because of Shanghai’s history and how much international influence it has received. Therefore, it’s hard to pin­-point any one thing that you couldn’t find anywhere else in China or around the world. However, I will say that there is something uniquely special about Shanghai that always seems to draw you back in. I spent a month here in 2013, and in that short time I decided that this is a place that I could potentially call home. Two years later, I’m back here for good. 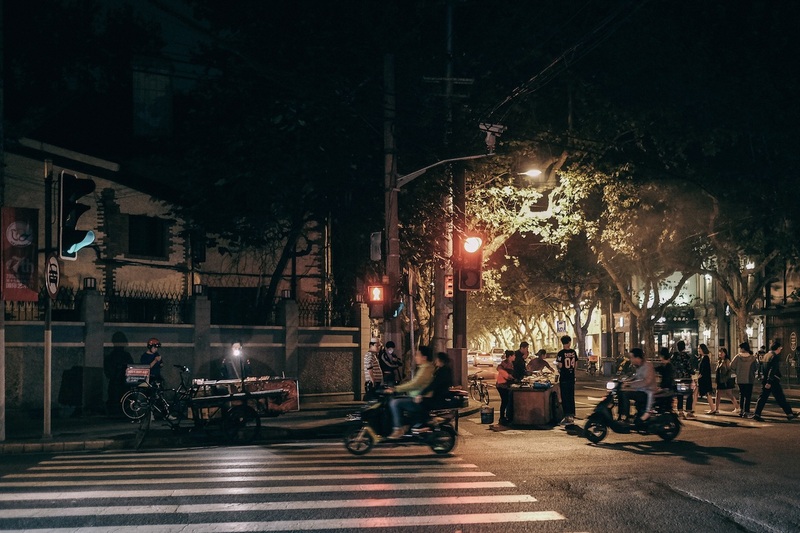 And I’m not the only one who feels that way either—most expats who I've met feel drawn to this place and eventually, whether they leave for one week or one year, all say the same thing: That there’s just that “something” about Shanghai that will always make you want to come back. This city truly has a spirit that you really have to live in to believe. Where is the ultimate first date spot? One of the best things about Shanghai is that there is always an exhibition rolling through town one weekend or the other. Since I’ve been here, I usually go to a show or gallery at least once a week, which is something that I hardly experienced in Australia. First dates can always go either way, but I think that starting out somewhere quiet is a good start—this is a very big and very busy city, so it’s always soothing to go anywhere that let’s you take a little break from that every now and then. Visiting a great restaurant and ending the night off at one of Shanghai’s unique speakeasies is also mandatory. A few recommendations for date night dinner and drinks are Speak Low, Vis-a-Vis and VaBene Shanghai. The Rockbund Art Museum (RAM) is dedicated to comtemporary art with ever-rotating exhibitions. The museum celebrated it's fifth anniversay this year. If you're an architecture and design dork, The Waterhouse at South Bund is the hotel for you. 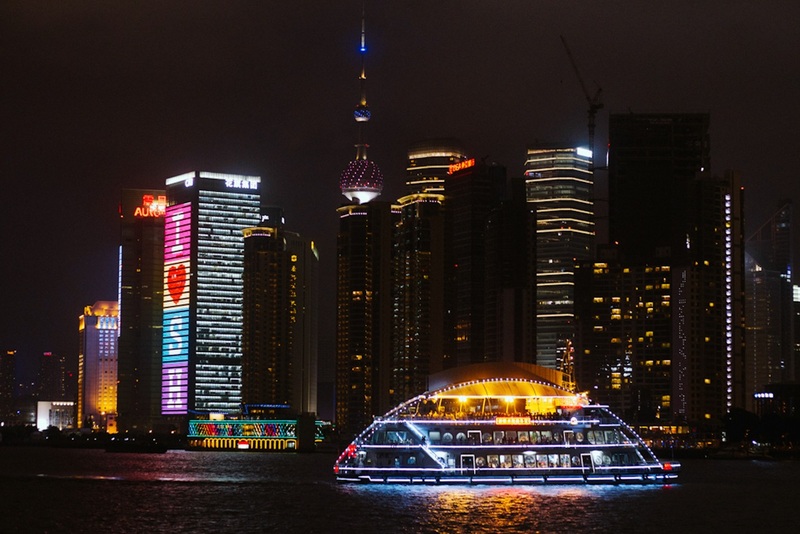 Which historic building or symbol best represents the heartbeat of Shanghai? As far as iconic goes, I would have to say the Lujiazui skyline, which includes the Jin Mao Tower, the Oriental Pearl Tower, the Shanghai Financial World Centre and the Shanghai Tower. This is the shot that every photographer wants and the sight that every tourist associates with Shanghai. Personally though, I would say that the heartbeat of Shanghai for me would be the Former French Concession area. It’s tree­-lined, airy and has a soulful combination of both Old Shanghai and New Shanghai. I find it’s the only place in Shanghai where I can start my mornings off with a cup of coffee and a crisp, buttery croissant and then walk two blocks down to have some of the city’s fresh­-out-­of-­the­-pan, ridiculously moreish dumplings. Which hotel in town would be the perfect place for a staycation? The Waterhouse at South Bund. Architecture wise, it has everything that I could ever want for my future home and is conveniently situated right next to one of my favorite restaurants in Shanghai, Table No. 1. It’s located in it’s own little cultural precinct which is a little ways away from the heart of the city—that definitely helps to kick start some much needed R&R. I could happily spend a few nights there. Where do you go to photograph the most epic views of your city? Local Instagrammers are known for their heart­racing rooftop shots that capture our bustling city below. These designated areas are spotted around the city and for safety reasons, the exact locations are a heavily guarded secret amongst the community. But not all is lost—if you’re in Shanghai for a few days and are looking to capture the city, head up to any rooftop bar along The Bund to capture that iconic shot of the Lujiazui skyline. If vertigo isn’t a problem for you, experience Shanghai from the observation deck of the Shanghai Financial World Centre (SFWC) which offers a pretty killer view at 474 meters above. 5. Experience one of Shanghai’s many rolling art fairs, pop-­up markets and festivals over the weekend. Check out Whitney Ng’s photography and writing on her blog littlelofts.com. She hopes it will help you ease long train rides and diffuse potentially awkward conversations. 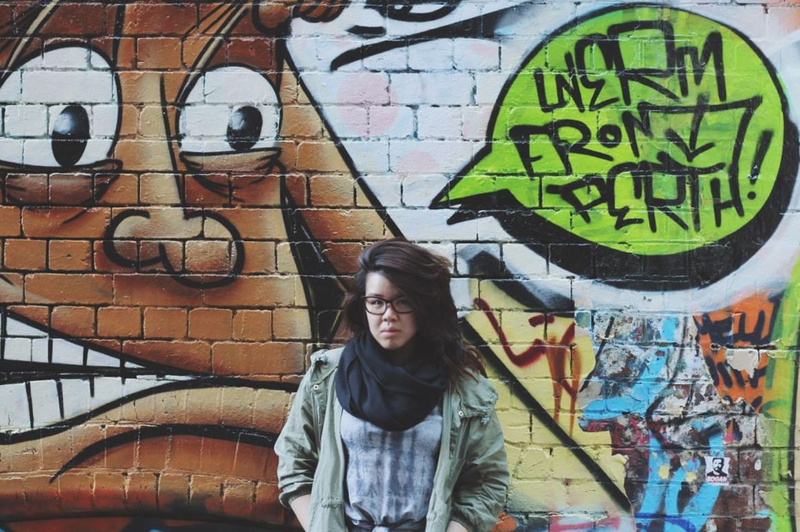 Follow her on Instagram and Twitter at @littlelofts for a daily dose of Shanghai cafes, architecture and #foodporn. The Shanghai Tower is a megatall skyscraper in Lujiazui, Pudong, Shanghai. Designed by Gensler and owned by a consortium of Chinese state-owned companies, it is the tallest of a group of three adjacent. The Shanghai French Concession (French: Concession française de Changhaï; Chinese: 上海法租界; pinyin: Shànghǎi Fǎ Zūjiè) was a foreign concession in Shanghai, China from 1849 until 1943, which progressively expanded in the late 19th and early 20th centuries. The concession came to an end in 1943 when the Vichy French government signed it over to the pro-Japanese puppet government in Nanking. For much of the 20th century, the area covered by the former French Concession remained the premier residential and retail district of Shanghai, and was also one of the centres of Catholicism in China. Despite re-development over the last few decades, the area retains a distinct character, and is a popular tourist destination. Enoterra is a wine bar, lounge, and boutique all under one roof, originally established in Shanghai, China. The Power Station of Art is a contemporary art museum in Shanghai, China. Housed in a former power station, it is China's first state run contemporary art museum. Zhujiajiao is an ancient water town located in the Qingpu District of Shanghai established about 1,700 years ago. Archaeological findings dating back 5,000 years have also been found. 36 stone bridges and numerous rivers line Zhujiajiao, and many ancient buildings still line the riverbanks today. 50 Moganshan Road or "M50" is a contemporary art district in Shanghai, China, that houses a thriving community of more than a hundred artists whose studios are open to the public. It is often compared with New York's SoHo and Beijing's 798 Art Zone. Road filled with 70+ bars that's popular with Shanghai's expat community. 88-story, spired skyscraper offering restaurants, offices, a Grand Hyatt hotel & observation deck. One of the world's tallest skyscrapers, with 101 floors, an elevated hotel, views, shops & eateries. Japanese-style speakeasy hidden behind a secret door in boutique that sells premium bartending equipment. Beautiful Concept Coffee Stand and Lifestyle Gallery. An artisanal French bakery near Taian Road. Everything is baked in-house using imported stone ground flour and served freshly roasted coffee. Jinan Rd., near Hubin Rd. All day breakfast joint in Shanghai. Founded by Chinese couple collectors, Mr. Liu Yiqian and his wife, Ms. Wang Wei, the Long Museum owns two huge places for exhibition and related functions: Long Museum Pudong and Long Museum West Bund. 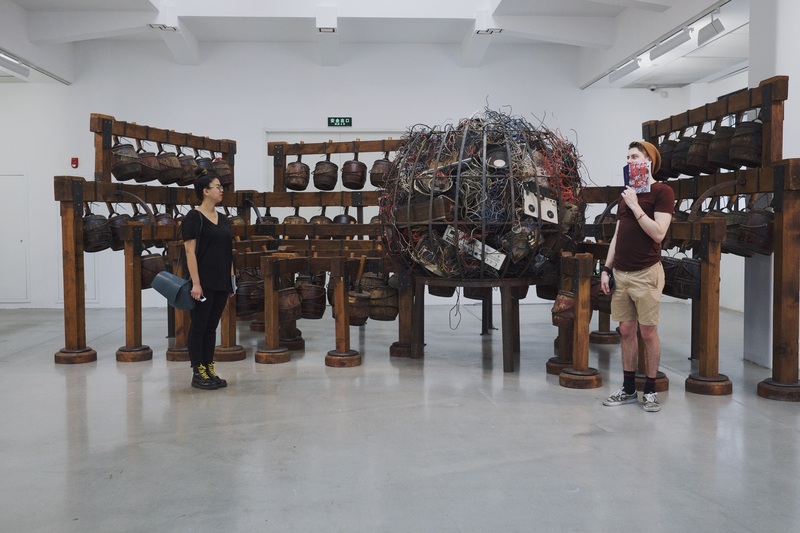 Located respectively in Pudong New Area and Binjiang, Xuhui District, they constitute a unique ecosystem of art in Shanghai: “One City, Two Museums.” As the largest private institution of collection in China, the Long Museum boasts of the richest collection nationwide. Located on the ground level of The Waterhouse at South Bund, a design concept boutique hotel, Table No. 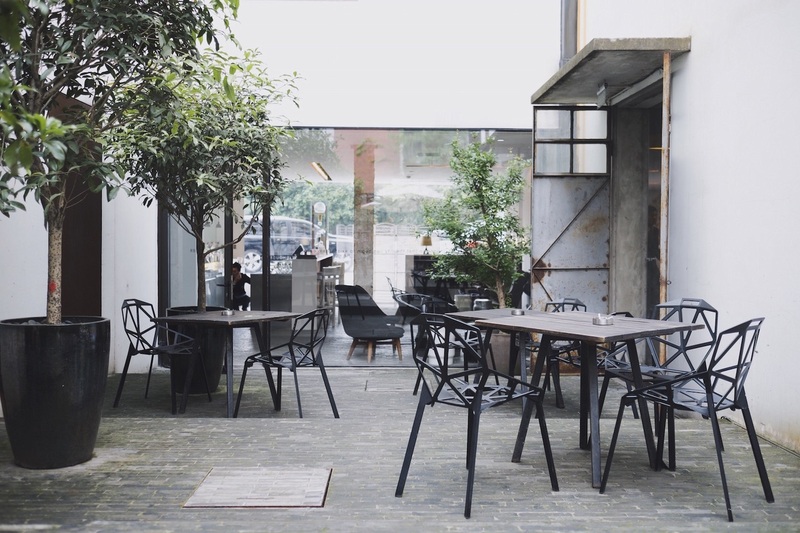 1 is a destination restaurant serving world-influenced modern European cuisine set in a sleek and simplistic interior that comprises a surprising element which encourages social interaction with a brand new dining concept. Focusing on communal dining, dishes at Table No. 1 come in sharing portions so guests can enjoy an informal dining experience and sample more tantalizing creations by the chef. The cuisine is a beguiling blend of the simple and subtle, and will subscribe to those culinary watchwords favoured by all the best chefs — fresh, seasonal, natural flavours and top quality ingredients. Contemporary hotel located in the South Bund district of Shanghai, the 19-room cutting-edge design boutique hotel with a separate converted warehouse event hall sits beside the Huangpu River and features spectacular view of the Pudong skyline in the distance. Xintiandi is an affluent car-free shopping, eating and entertainment district of Shanghai, China. The famous Shanghai "Fabric Market" is home to hundereds of tailors and seamstresses, and is the city's prime destination for bespoke clothing garments. If it can be stitched and sewn, they can do it for you at the South Bund Fabric Market. 5-acre garden built in 1577 that features Ming Dynasty pavilions, ponds, rockeries & arched bridges. Va Bene offers authentic provincial Italian cuisine in smart sophisticated surroundings. Modelled on its lauded sister outlet in Hong Kong, the restaurant’s warm and welcoming ambiance, attentive service, use of quality imported ingredients, and extensive wine cellar are the hallmarks of this most acclaimed dining spot in Xintiandi and beyond. Three on the Bund is Shanghai's leading epicurean lifestyle destination blending gastronomy, art, culture, and music in an elegant, sophisticated gathering place for vibrant people and stimulating ideas. It created and manages 6 award-winning restaurants and bars, The Cupola, and Shanghai Gallery of Art. It is also home to German luxury leather goods brand MCM and Unico by Mauro Colagreco located on the 1st and 2nd floors respectively. The Bund (also called Waitan) is a touristy waterfront area in central Shanghai, but it's great for people watching especially the Chinese tourists who try their best to emulate the latest Shanghai fashions. Zhongshan Road (East-1 Zhongshan Road), which runs along the western bank of the Huangpu River, is Bund central. Located in Le Passage Fuxing in Shanghai (Fuxing Xi Lu cross Huashan Lu), Vis-A-Vis is a French bistro proposing traditional and homemade recipes, a selection of fresh fruits and vegetables juices and cocktails made by our Mixologist Arnaud Delauzun. For breakfast, lunch or dinner and enjoy the low-key loungey space and the evolutive atmosphere which will make you forget time and relax.